"But back in 1972, when I rented an apartment on 15th Street between 6th and 7th Avenues, a few blocks from my family's first home, which was demolished in 1954 for the construction of the Prospect Expressway, my neighbors and I had no idea of the changes to come. I went about my work as a photographer and, at home, converted the bedroom to a darkroom and the living room to a small studio for portraits and still lifes. Although I worked as an assistant in a Manhattan photo studio, I became a street photographer long before I knew what that phrase meant. 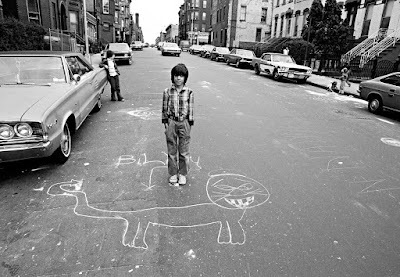 I took frequent walks with my camera from Prospect Park to Green-Wood Cemetery to Sunset Park and photographed religious processions, political parades, and street fairs in South Brooklyn." Brooklyn Before: Photographs, 1971 - 1983, by Larry Racioppo, was published earlier this month. If you live around here, whatever you want to call the neighborhood you live in, you'll want to buy it. Maybe it will summon the familiar, the streets and faces you recall from decades back. Maybe you'll hardly recognize the place - the people, the stores, the traffic of the streets. Either way, the book matters. You have to look. Here in the replacement city it's easy to forget who and what went before, and not every neighborhood's blessed by a testament. In Brooklyn Before, we have one. You can find the book nearby, in local bookstores (the preferable way to go), and you can, of course, order it online. In tandem with the book's publication, an exhibition of Racioppo's work will open at the Tabla Rasa Gallery on September 29th. The show will run through October 27th. There'll be a reception & book-signing at the gallery this Saturday, from 3 - 5 p.m.
Sage House News, the Cornell University Press blog, currently features an essay by Racioppo on how he got started as a photographer. 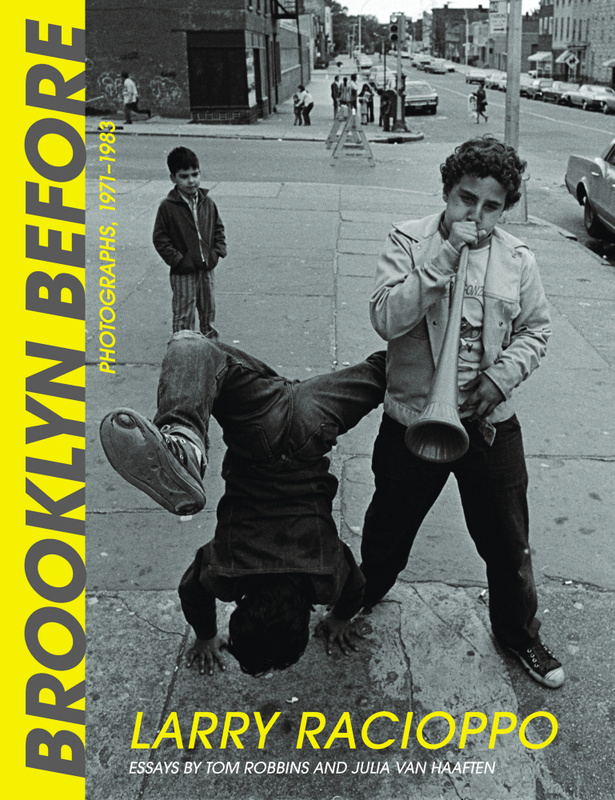 To see more of his work, the Brooklyn Collection at the BPL's Central Branch, is currently showing Larry Racioppo: A Retrospective through December 29, 2018. The Brooklyn Collection holds hundreds of Racioppo's photographs in its archives. The show features photographs from several of his Brooklyn-based projects; these include Brooklyn Churches, Theatres, Coney Island and Prospect Park. The exhibition also displays photographic equipment, books, ephemera and archival material from his career.